This title includes a variety of sports and activity related injuries, affecting performance and participation. These injuries may occur due to the lack of preventive awareness, poor conditioning and improper nutrition leading to suboptimal performance and injuries. Therapy post surgeries for sports injuries is important to nurse the individual back to health. 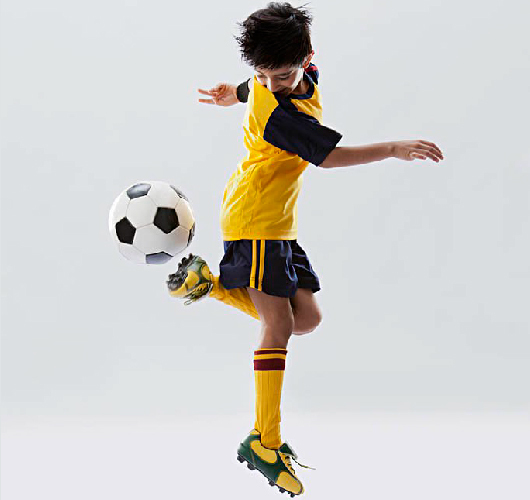 Injuries can be sustained while playing sports or even during practice sessions. The most common sports injuries like cartilage injuries, knee and shoulder injuries have the risk of permanent loss of functional ability if not treated properly on time. Sports medicine physicians can restore sportspersons to their original state of physical activity and health, thus optimizing performance once again. It is also important to minimize the occurrence of injuries in the future. We strive to be the best Sports Rehabilitation Center India by offering preventive care for athletes. Our centre has exclusive rehabilitation for sports injuries. We have some of the best sports doctors in Chennai to facilitate sports injury recovery and help our athletes go back on track faster. The treatment program will be carried out by the Physiatrist, Strength /conditioning coach and Nutritionist focusing on helping the athlete and physically active individuals achieve their optimal performance and conditioning through sport and activity customized program. The athlete will be evaluated by the Physician to come up with a program. The program will involve physical exercises, which will be executed by the strength and conditioning coach under the supervision of the Physiatrist. Strength and conditioning coach focuses on various exercises to improve performance and conditioning. The Nutritionist will tailor an appropriate diet to help in recovery and achievement of optimal performance.